The holidays are fast approaching and it’s our guess that some of you out there have caught tablet fever. Better yet, you have a loved one who has and you’re thinking about snagging them a device for the holidays. Lucky for you, you have some options. Not a lot of options, but options. 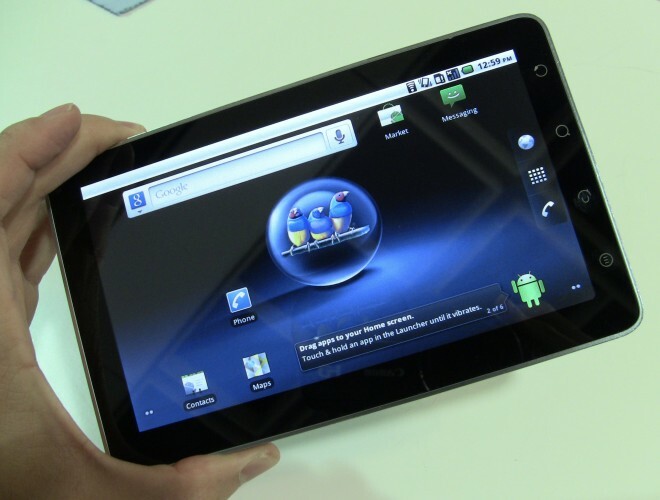 Here are 5 tablet devices that you might want to consider this holiday season. This bad boy actually went up for pre-order today on Amazon and unfortunately, you’re going to have to shell out some big bucks for it. Originally, ViewSonic had said the ViewPad 7 that it would cost $479 but today, it has shown up for $600. That’s no good and there is no word as to whether the price is going to drop. However, if you’ve got money to burn, the ViewPad 7 has some pretty nifty features. As you might have guessed, it has a 7 inch display with 800×480 resolution and it runs Android 2.2 aka Froyo as its operating system. It also features an auto focus COMS 3 megapixel camera in the rear as well as a VGA camera in the front. It has a Qualcomm MSM7227 processor clocked at 600MHz, 512MB of memory, Bluetooth 2.1 with EDR, and it has access to the Android Market. That’s a big plus. Another big plus? It can do voice calling with 3G capabilities for both phone and data. Very cool, if it works well, which remains to be seen. If you or the person you’re buying for loves media, look no further than the Archos 101. It has an enormous 10.1 inch screen, great for both gaming and watching movies and television. Even better, the screen checks in with an amazing 1024 x 600 resolution. The is also capacitive. 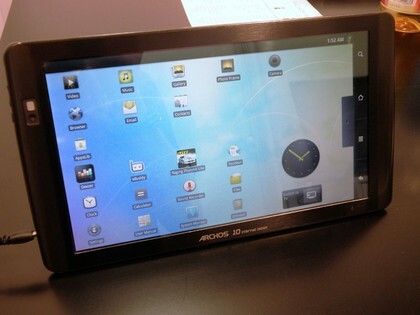 The Archos 101 runs Android 2.2, however, you won’t have access to the Android Market. Instead, Archos has its own Appslib that has a bunch of Android compatible apps avaliable for consumption. Believe it or not, there are people out there that don’t need access to 100,000+ applications so this isn’t necessarily a deal breaker. It also has a front facing VGA camera (the iPad doesn’t have that), HDMI support, and an adjustable leg stand that makes it easy to pump out emails, browse the web comfortably or watch a movie. The best part? The Archos 10 has a a pretty low price and checks in at $300. 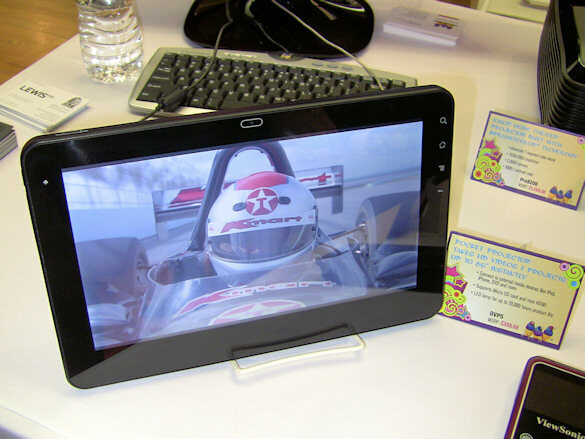 Like the Archos 101, the Viewsonic G Tablet is great for media buffs. 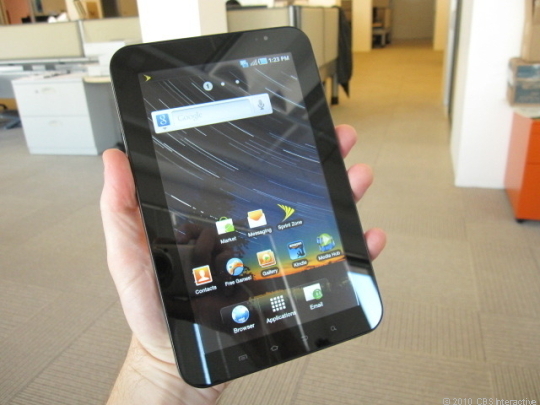 It sports a 10.1 inch touchscreen display with 1024×600 resolution and is powered by Android 2.2. It features an NVidia Tegra 2 processor, a 1.3 megapixel camera, 16GB of internal memory, integrated Wi-Fi, and a SIM card slot for those trying to get compatible with a carrier. Unfortunately, no access to the Android Market. That being said, besides the G Tablet being good for those who love media, it’s an extremely powerful device and is perfect for someone who loves multitasking. The G Tablet is available now for $429.99. The recently released Samsung Galaxy Tab has had mixed reviews. However, there is one thing that everyone seems to agree on. It’s the first real competition to Apple’s iPad. It rocks Android 2.2, it has Android Market access, a 7 inch display that has 1024 x 600 resolution, two cameras (front facing 1.3 mega pixels, rear 3 mega pixel with auto focus), a Cortex A8 1GHz processor, and 16GB of storage. The interesting part about the Samsung Galaxy Tab is that it’s available on all four major U.S. carriers, those of course being AT&T, Sprint, T-Mobile, and Verizon. Verizon and AT&T offer it off-contract for $600 and $650 respectively. Sprint and T-Mobile offer it on-contract for $400. It’s also going to be on sale through US Cellular for $399 on-contract, $599 without. It’s not cheap, but if you’re looking for an alternative to the iPad or you just want to run Android properly on a giant screen, the Galaxy Tab is your best bet. No surprise here. 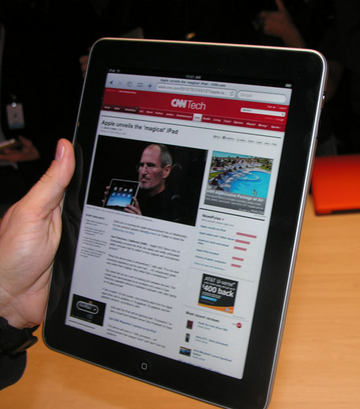 The iPad is definitely the first place you should look if you’re set on purchasing a tablet device. It’s not cheap though. Apple’s iPad comes in several different models that cost as follows. For Wi-Fi only iPads, the 16GB will run you $499.99, the 32GB costs $599.99 and the 64GB costs $699.99. If you want it with 3G enabled iPad, you can use AT&T or Verizon, there is a price jump. A 16GB model costs $629.99, $729.99 for a 32GB and $829.99 for a 64GB with 3G. If you think the person you’re buying for is likely to use this thing on-the-go, spring for the 3G version. If it’s just going to sit next to their favorite chair at home, get the Wi-Fi version. Ad yes, there is a reason that the iPad commands such a high price though and here’s why. It has a 9.7-inch, 1024 x 768-pixel multitouch display and it has access to Apple’s App Store which has a ton of iPad specific applications. While the iPad and the Galaxy Tab are the most popular and the best tablets out there but keep in mind there are also alternatives out there that not only might cater to the person you’re buying for but to your budget as well.